You are here: Home / Blog / General Information / Born in May? Lucky You! Emeralds are your Birthstone. Born in May? Lucky You! Emeralds are your Birthstone. 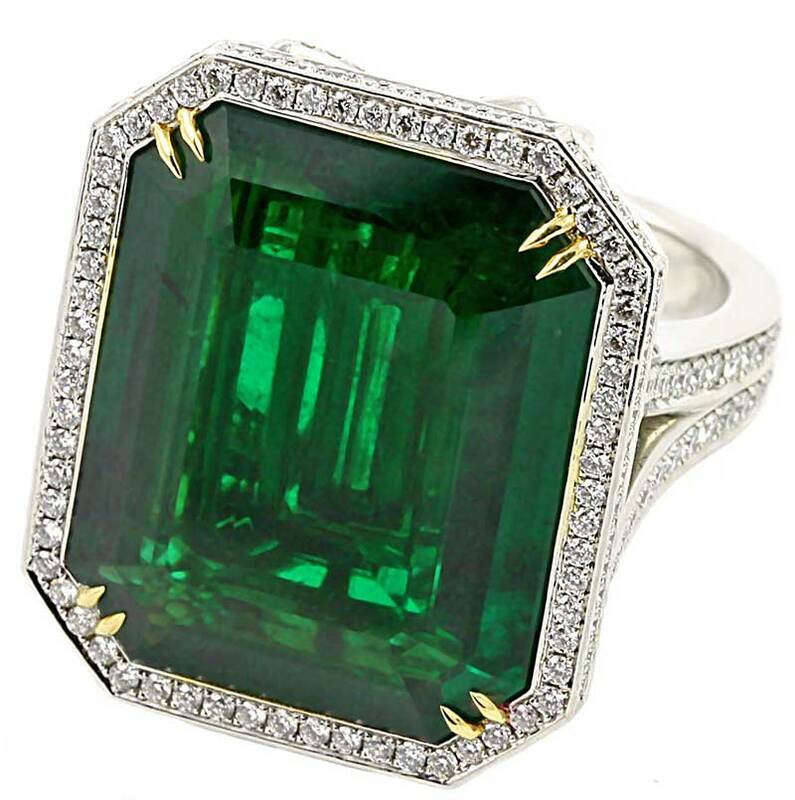 If you were born in May, then the Emerald is your birthstone! The color of emeralds reflects new spring growth, which makes it the perfect choice of a birthstone for May. It’s also the gemstone for twentieth and thirty-fifth wedding anniversaries. Did you know the name “emerald” was derived from the Greek word “smaragdos” meaning “green stone?” The first known emerald mines were in Egypt, dating from at least 330 BC into the 1700s. Cleopatra was known to have a passion for emerald, and used it in her royal adornments. Today, the Muzo and Chivor mines of Colombia produce some of the world’s finest emeralds. Emeralds come in a vast array of shades and colors of green. Elements of Chromium in the crystal produce the color. Be sure to come into the store to see our selection of emerald jewelry or talk about what we could create for you that has emeralds as the focal point. Born in April? Lucky You! Diamonds are your Birthstone. Metal Allergies Aren’t Fun… We Have The Solution!